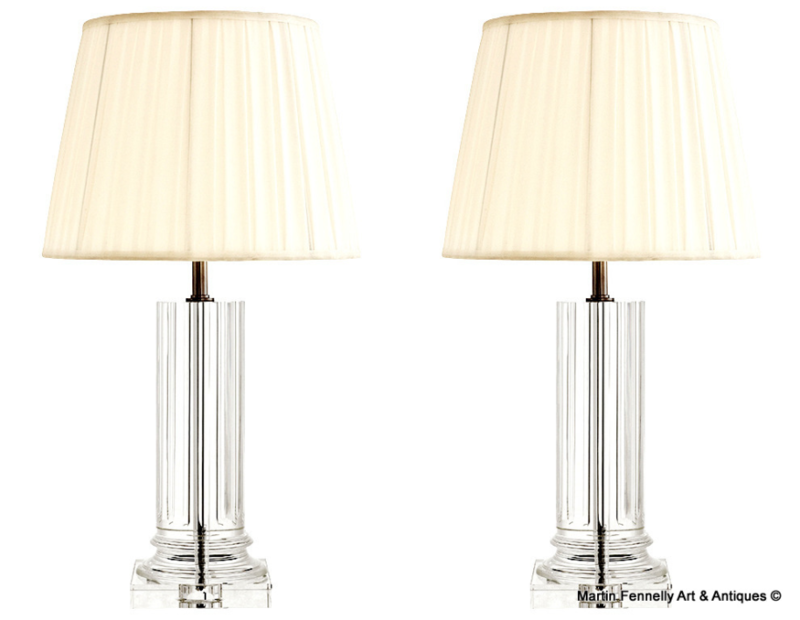 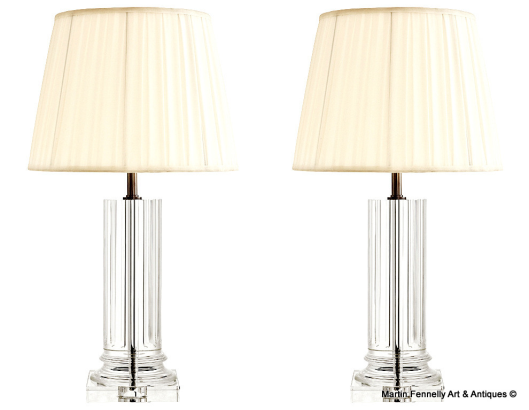 Illuminate your Interior with this pair of elegant table Lamps made from crystal with nickel finish and off-white conical lampshades. These Table Lamps will make a wonderful addition to your lighting solutions while adding elegance and designer style.The lamps comprises a cylinder structure with minimal line pattern and a square base plate. 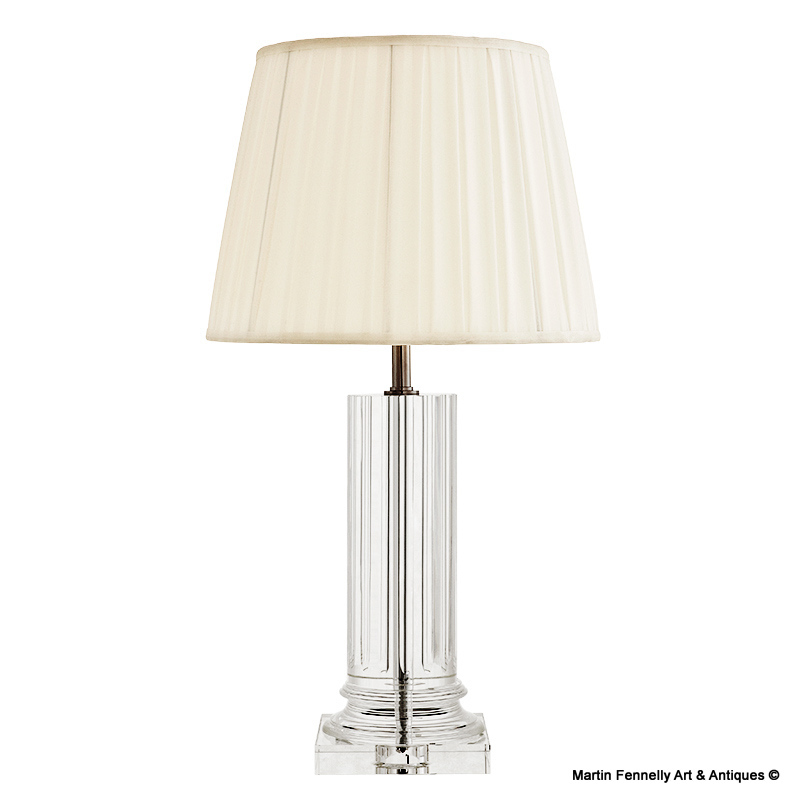 The body of the lamp has a nickel stem running throughout while an off-white conical shade with line pattern covers the light source.